Tuesday, November 14, 2017 12:59 AM University High School AWAY 65 Waldron High School HOME 72 Game Recap Lady Mohawks move to 3-1 winning their home opener 72-65 over 19th ranked University. Wood with 27, Shaw with 16, Sullivan 14, and Thomas 8. 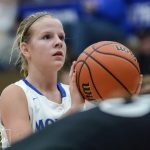 Friday, November 10, 2017 7:54 PM Waldron High School AWAY 58 Central Christian Academy HOME 19 Game Recap Lady Mohawks opened with 28 point 1st quarter and then went to the bench often and early. 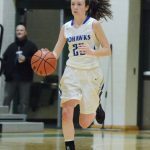 Everyone scored tonight for The Mohawks led by Morgan Wood with 16, Victoria Shaw with 10, Lauryn Thomas with 8. Monday, November 6, 2017 6:00 PM vs Morristown Jr-Sr HS AWAY 9 Waldron High School HOME 18 Game Recap The 5th grade Lady Mohawks got their first win of the season on Monday, defeating Morristown 18-9! Monday, November 6, 2017 6:00 PM vs Morristown Jr-Sr HS AWAY 25 Waldron High School HOME 20 Game Recap The 6th grade Lady Mohawks lost a close battle on Monday night by a score of 25-20. 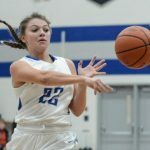 Scoring for Waldron were: Alyssa Benson with 12 points, and Macie Stewart and Sara Kuwamoto with 4 points each. Saturday, November 4, 2017 6:30 PM Waldron High School AWAY 69 Arlington Community HS HOME 23 Game Recap Lady Mohawks get going with a strong 25 point 1st quarter and never look back. Every Lady Mohawk scored led by Shaw with 22, Wood with 20, and Thomas with 7. Lady Mohawks now 1-1. 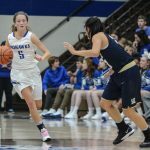 Friday, November 3, 2017 7:30 PM Waldron High School AWAY 48 Southwestern (S) HOME 53 Game Recap Lady Mohawks, plagued with foul trouble, lose a close contest versus the Spartans. Mohawks were led in scoring by Shaw with 16, Wood with 9, and Thomas with 7.